In a statement from EA announced that The Sims 4 will no longer be supported on non-Metal Mac OS machines or PC 32-bit operating systems from June 2019 onward. The withdrawal of support on Mac OS systems isn’t without reason. Apple is planning on phasing out support for their current graphics processing technology, OpenGL, and switching over to a new system known as Metal. EA have made the decision to upgrade The Sims 4 to work with Metal instead, thus dropping support for OpenGL. Their reasoning for withdrawing support for 32-bit operating systems is a little less clear, with EA simply stating that in order to ‘continue growing, improving, and optimizing’ the game, they’ve made the decision to retire 32-bit support. However, this doesn’t mean that it’s the end of The Sims 4 for Sims players on those systems. For Mac OS users who can’t upgrade to an OS that supports Metal or for PC players who can’t update to a 64-bit OS, never fear! EA have an alternative in the form of The Sims 4: Legacy Edition. The Sims 4 Legacy Editon is essentially what it says on the tin. 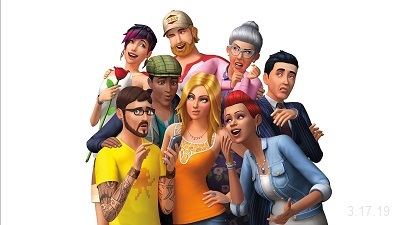 It’s a version of The Sims 4 that will work with non-Metal Mac OS systems and 32-bit OS PCs. Unlike the original game, it will not be updated after its release. The Legacy Edition should be available in June 2019, around the same time as the planned drop in support. It will only be available for existing owners of the game and will not be available to new players.We have 2 statements from EA and how you can continue playing posted on OUR FORUM.